1 browning bird ‘n lite strap vest Better than a bucket full of plucked chukars. 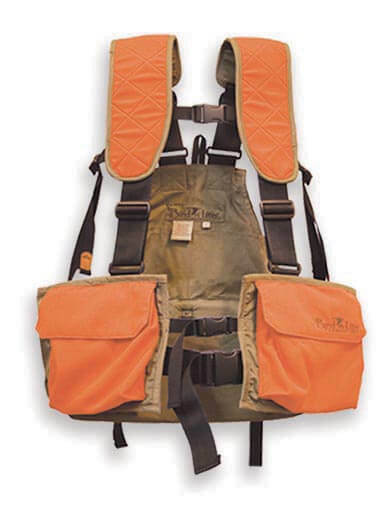 This updated version of the original Bird ‘n Lite vest has wider padded straps, more blaze for visibility, and front loading. That means it’s more comfortable, easier to see, and quicker to fill with your day’s limit. Adjustable shoulder, sternum and waist belt straps balance the load beautifully. Two double compartment front pockets, two water bottle pockets with shock cords, large back storage pockets.